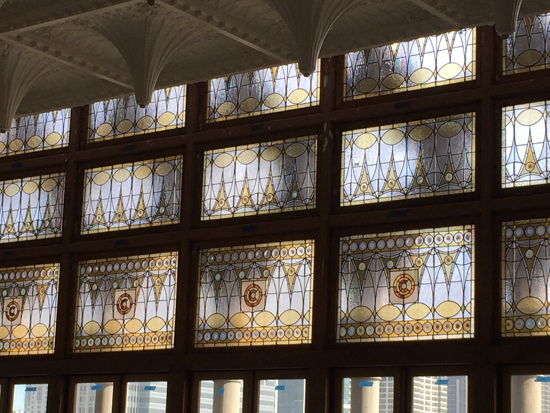 Opal Glass Studio restored over 60 art glass windows for the Chicago Athletic Association on Michigan Ave that recently underwent a complete restoration spanning over 2 years and reopened its doors in 2015. 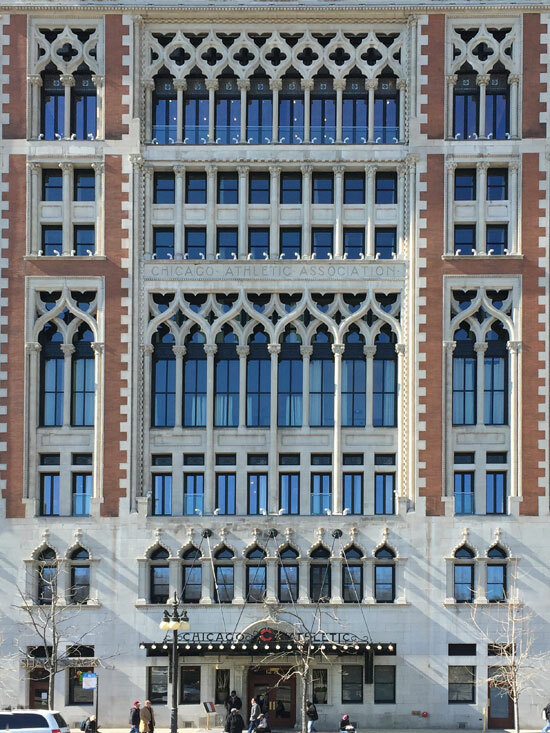 The 36 windows in the 8th floor Ballroom facing Michigan Ave needed entire re-leading as did many others through out the extensive property. 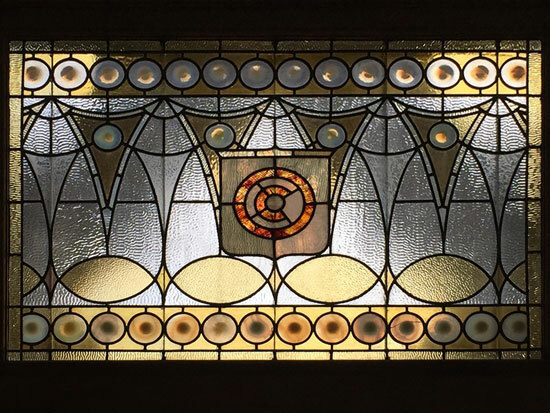 Sharon worked with Jensen Window Corporation who removed the windows and replaced them after her painstaking restoration was completed. Windows with faded painted scenes were repainted. 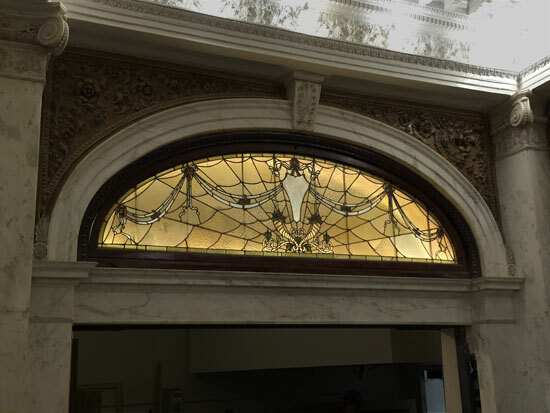 Others that were restored included beveled windows, intricate Victorian panels, a series of small windows with the CAA emblem, door panels in the Milk Room and large arched windows in the interior of the lobby.